Our product range includes a wide range of pyrethrum extract. Pyrethrum Extract ('pie-wreath-rum') is a natural insecticide made from the flowers of certain species of the chrysanthemum plant. It is a mixture of several different compounds called pyrethrins and cinerins. Originally pyrethrum was made by grinding dried chrysanthemum flowers into a powder. Today, pyrethrum is extracted with solvents but is still widely used in household insect sprays where it is usually combined with another chemical called piperonyl butoxide. Source Chrysanthemum Species Old World plants of the genus Chrysanthemum ( e.g. C. cinerariifolium and C. coccineum) family- Asteraceae, cultivated as ornamentals for their showy flower heads. They are all perennial plants with a daisy-like appearance and white petals. 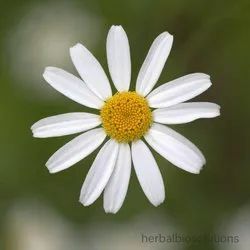 Pyrethrum was used for centuries as an insecticide , and as a lice remedy in the Middle East (Persian Powder, also known as 'Persian Pellitory'). It was sold worldwide under the brand Zacherlin by Austrian industrialist J. Zacherl. Because of the natural insecticidal properties of the pyrethrums, they are used as companion plants, to repel pest insects from nearby crops and ornamental plants. They are thought to repel aphids, leafhoppers, spider mites, harlequin bugs, ticks, pickleworms and imported cabbage worms, among others that are in gardens and farms. For example, they are planted among broccoli plants for protection from several common insect pests. C. cinerariifolium - (Dalmatian chrysanthemum) looks more like the common daisy than other pyrethrums. Its flowers, typically white with a yellow center, grow from numerous fairly rigid stems. Plants have blue-green leaves and grow to between 45 to 60 cm in height.Common names for Chrysanthemum cinerariifolium -Pyrethrum , Pyrethrum daisy, Dalmatian pyrethrum, Dalmatian chrysanthemum, Dalmatian Insect Flower, Dalmatian pellitory, Big Daisy.